N/A Alforce means Alpha Force. V is for victory. Dra is short for Dragon. X because he was modifed by the X Antibody. 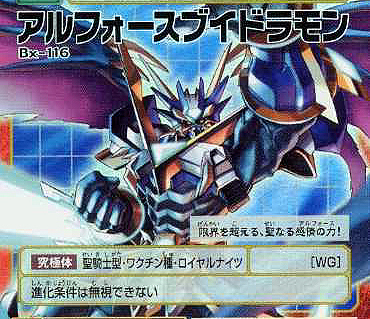 His name could also be Ulforce V-Dramon, with Ulforce meaning Ultimate Force. Aero V-Dramon + Win Ratio 80%! Grademon + Win Ratio 80%! !